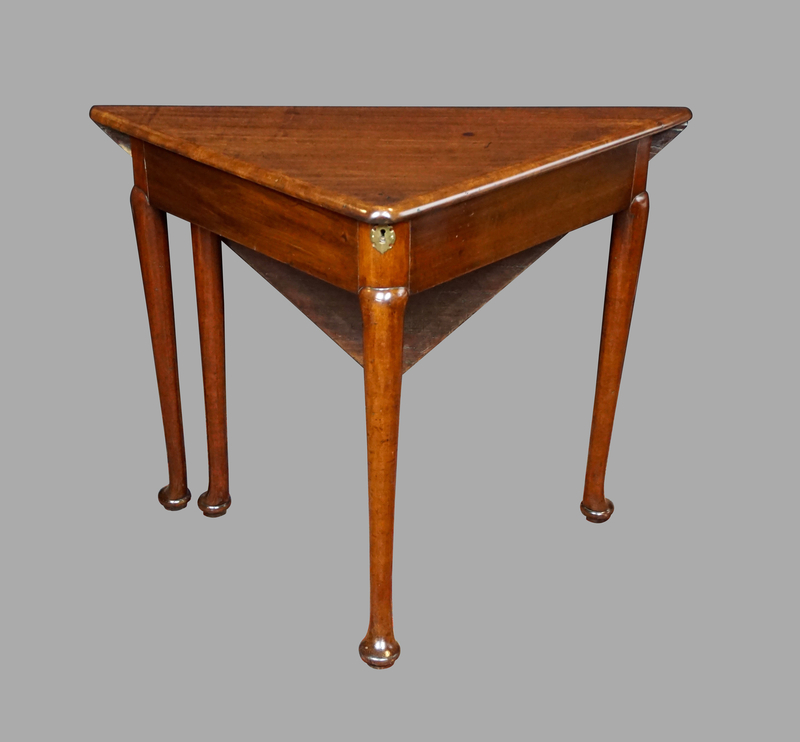 A George II mahogany corner envelope table with locking well, the square hinged top above a shaped frieze with gateleg support resting on cabriole legs with pad feet. Circa 1750. Restored.